My philosophy is that at the beginning of every skincare journey originates with the decision to wash your face. Wash your face with water; wash it with soap; wash it with face wash. Everything else that comes after is an iteration of that initial intent to improve your skin. Even isolating your entry into the world of skincare to face wash can be daunting. Your local drugstore has dozens of options, each promising dazzling results. As with every hobby or specialization, there are mental models that we adopt. Wine, as an example, is often categorized on menus as being either red or white, sparkling, or dessert. For a wine connoisseur, these categories may be ignored entirley as they are looking at the region, grape types, and age. So, what are the basic categories for skincare? Normal – your skin is a bit more balanced. Makeup application isn’t particularly as hassle but you get that occasional blackhead and you may use oil absorbing sheets, but you don’t rely on them. Dry/dehydrated – Apply makeup often reveals patchy looking skin, whether that’s around your nose, your chin, or otherwise. You may have wondered if you have eczema (or you may actually have it). Oily – you find yourself using oil absorbing sheets and makeup moves down your face during the summer. Oily skin is often acne prone (makeup wearer or otherwise). Combination (oily + dry/dehydrated) – often times the t-zone is oily and the rest of your skin is dry (flakey). Acne – You have visible whiteheads, blackheads, cysts. Pores – You feel like your pores are more visible than anyone else’s. These might look like little bumps (but not quite blackheads). Dark spots/uneven skin tone – Is that a freckle forming? Or you have an “age spot” or a mark after acne has gone away. Redness (rosacea) – You feel like you look flushed frequently. You may avoid blush. Texture – Texture can be a combination of the above factors. You don’t like the way your skin looks/feels, such as dry checks and fine lines. Non-comedogenic - adjective - denoting a skin-care product or cosmetic that is specially formulated so as not to cause blocked pores. Comedogenic - adjective - tending to cause blackheads by blocking the pores of the skin. Not everything that is comedogenic will cause blocked pores or breakouts. Comedogenic properties tend to be on a scale, just like irritants, sexuality, or lactose content (those may sound weird strung together, but they are my most referenced points of comparison in my own life). Need help figuring out what your skin type and how to phrase your concerns? The AsianBeauty subreddit has a great getting started guide with definitions. For folks deep in the skincare community, there are technically first and second cleansers. I’m going to pretend (for now) that they all belong under the same family to lay a foundation of general knowledge. First cleansers are generally for people who need to remove excess oil from an earlier skincare step or folks with oily skin, or makeup wearers. What is the pH of the cleanser? Your skin pH can vary from 4-7, but 4.7 is considered average. I aim for cleansers with a pH around 5, 5.5. A high pH can disrupt the acid mantel of the skin and less than optimal skin flora, leading to breakouts and irritation. We’ll get to all that science-y stuff later, but I’ll include links in the additional resources section if you want to jump ahead. What is your skin type? Foaming cleansers remind me of the way shampoo (with sulfates) foams. It is ideal for oily and acne-prone skin, but your experience may vary. Not every foaming cleanser has a sulfate and generally, my recommendations shouldn’t include that ingredient. Gel cleansers are better for combination or normal skin as it leaves more of the natural skin oil behind while removing dirt. Cream/milk cleansers are for dry and sensitive skin by avoiding anything that with suds and using natural oils (non-comedogenic). Micellar water is great for removing makeup, but should be followed up with a foaming, gel, or cream/milk cleanser. Processing the information above is going to take a while and you shouldn’t expect yourself to remember or grok* it in one day or week. I’ll offer some starting recommendations for each skin type that are on the lower end of the price spectrum to get you started. Feel free to revisit this post later when you feel more confident in your facial cleanser needs. Grok is slang that I find more common in the software engineering/tech space. It’s a verb that means to understand (something) intuitively or by empathy. Alternatively, empathize or communicate sympathetically. 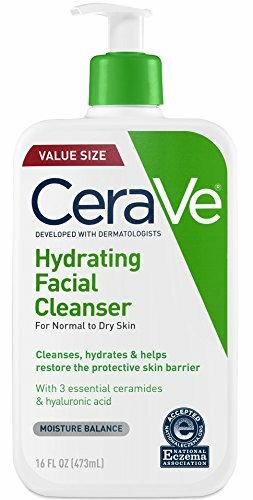 CeraVe’s Hydrating Facial Cleanser is my go-to as someone with dry skin. It has a pH of 5.5. You can find it at CVS, Walgreens, or online on Amazon (affiliate link). 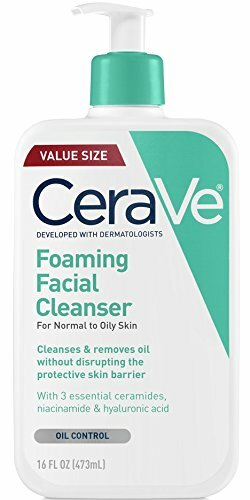 CeraVe’s Foaming Facial Cleanser is what my significant other uses for his more oily skin. It has a pH of 5.5. You can find it in CVS, Target, Walgreens, and online from Amazon (affiliate link). Either of the above products could work for you. Another common recommendation I make is Corsx Low pH Good Morning Cleanser. It has a pH of 3.5, so you may want to use a toner after if you have any actives in your skincare routine. Not sure what actives are? Then you probably don’t need to worry about it. You won’t be able to find it as easily in U.S. shops, but you can find it online without issue (affiliate link for Amazon). It slightly cheaper for flat dollar cost, but not per ounce/milliliter. This particular cleanser falls into the gel cleanser category.